When I was growing up, my family had a cat tree. You know just what I’m talking about. It was a multi-level monstrosity covered in brown and green shag carpet. It was almost as tall as I was. And it was exactly as ugly as it sounds. We had it because we loved our cats, and they loved having a spot that was solely theirs to snooze, climb, and scratch to their hearts’ content. At the time, there were no modern cat furniture options to be found. So we sacrificed for the greater good of our kitties—and of the upholstered furniture we wanted to save from their claws. But I’d cringe every time I looked at that thing. And I swore that when I had a house and cats of my own, there would be no pet-specific furniture allowed! For years, now, we’ve lived with two cats—and for most of that time I’ve stuck to my resolution. But our area rugs and sofa arms have suffered for it. (SO. SHREDDED.) Plus, I’ve noticed that when the cats don’t have easy access to cozy hideaway spots, they meow more stridently and scratch more determinedly. They really are happier (translation: better behaved) when they have a little territory to call their own! 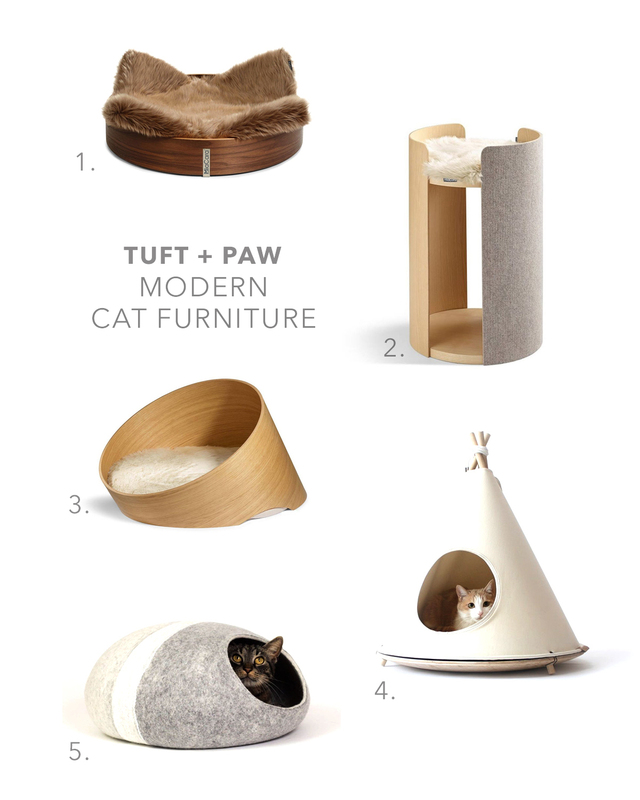 And now that Tuft + Paw has hit the scene with modern cat finds that put my family’s old carpeted cat tree to shame, I’m rethinking my longstanding ban on pet furniture! I mean, look at these snoozy and stylish pieces! 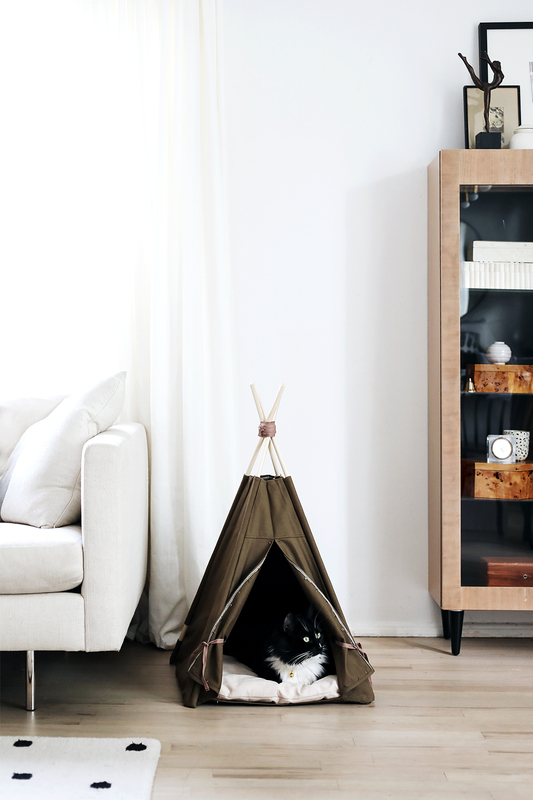 Decor-friendly materials like grained ash, textured felt, and crisp canvas make for modern cat furniture that’s eye-catching, not an eyesore. The silhouettes are sleek and sophisticated, with bentwood constructions inspired by classic Scandinavian design. 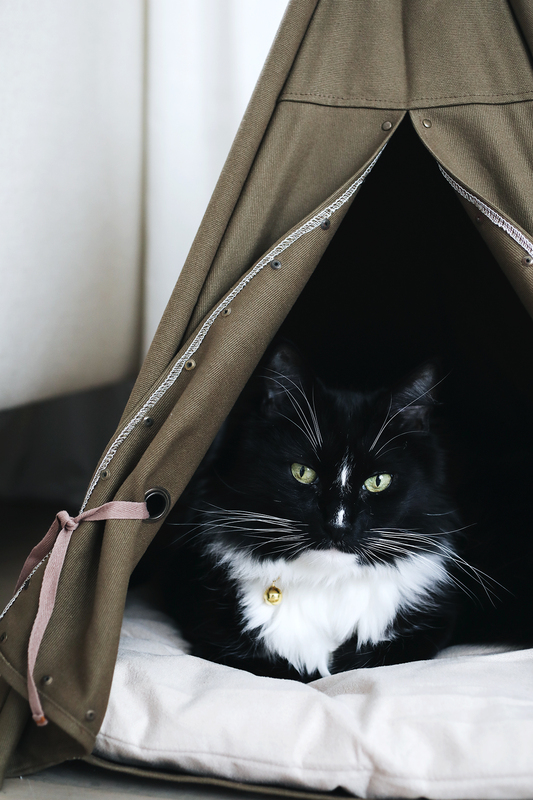 Subtle touches such as the nailhead trim on James Bond’s new cat teepee show an attention to detail that rivals even my fanciest human furniture. 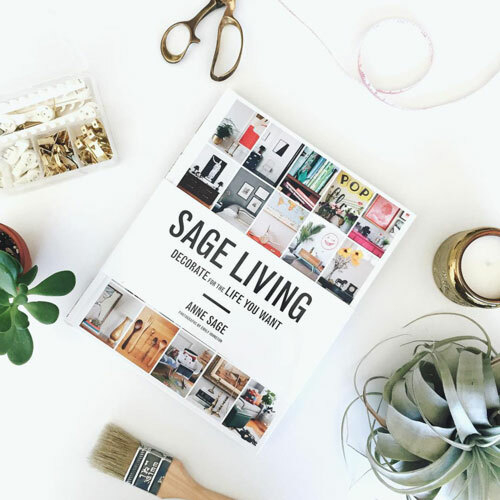 Best of all, Tuft + Paw was founded with a mission of compassion for animals and people alike. They source product only from manufacturers who are committed to sustainable materials and operations. As well, they offer a donate-a-bed program, which offers a 50% refund if you donate your purchase to a shelter. Protecting cats, protecting the planet, and protecting my furniture? Everyone wins! The only problem now is that James Bond and Sophie are embroiled in a territory war over the single teepee we have, and it looks like I’m headed down the slippery slope of getting a second piece of pet furniture. But hey, at least that slope isn’t covered in brown shag carpet, right?